When doing my craft room, I wanted light and bright curtains. I looked around at a few stores, but couldn't find anything I liked. I wanted something a little more customized then was available. So I customized some store bought panels. And they go right a long with the chevron phase I'm in! 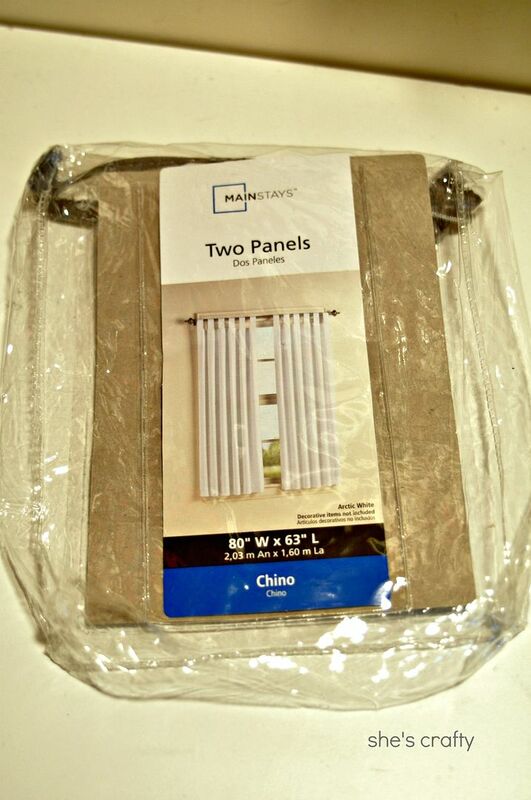 I found these white tab top panels at Walmart, on clearance even!! Please know that I'm no seamstress, but here are the steps I took. I cut the tabs off the top of the curtain panels. 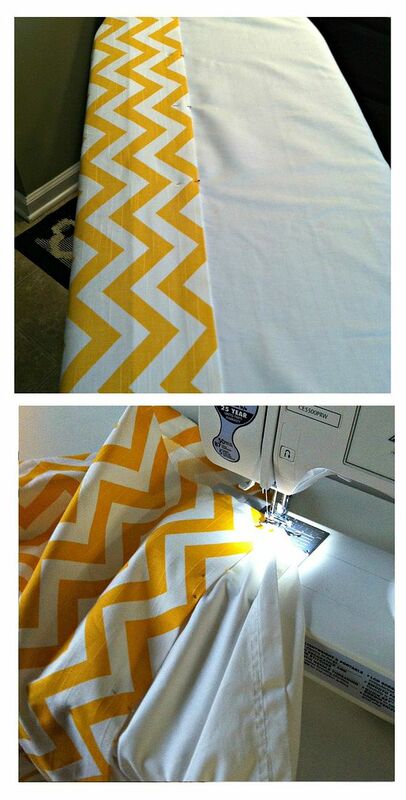 I ironed the bottom edge of the white panels to get them ready to sew the chevron fabric on. I cut the fabric to the width of the curtain panels, then folded over the edge and pressed a seam to the fabric. and using a straight stitch with my machine, I sewed the fabric on. I hung the panels from drapery rings. I hung them low enough that they puddle slightly on the floor. 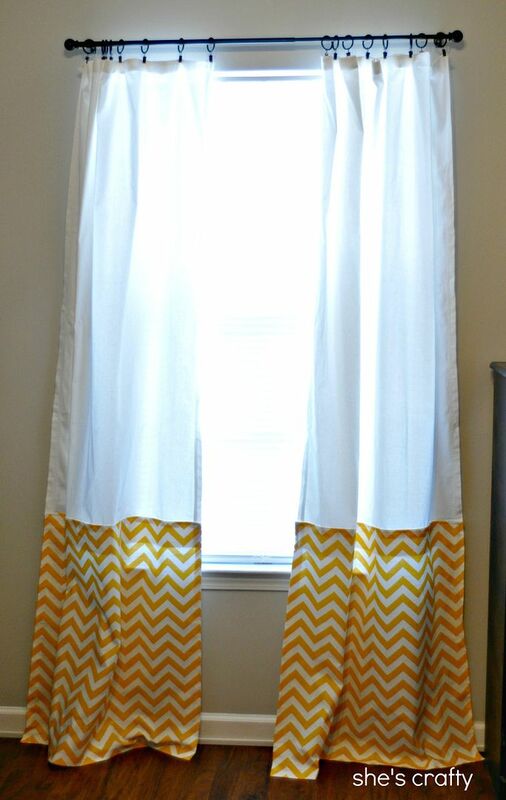 Easy enough to make custom curtains from store bought panels! I love these!!! What a creative thing to do. I find it so hard to see outside the box. These are so bright and cheery! That is awesome! That's the difference between crafters and everyone else: If we can't find what we like, we'll make it! I think im in love:) They look awesome and you could never go wrong with Chevron! 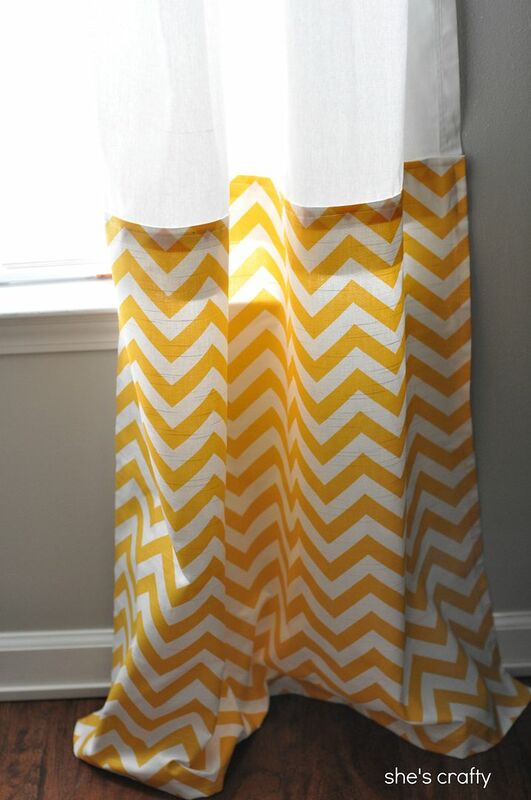 yellow and chevron!?! Yes please:) I can't sew at all, so I'm super impressed by this, and they look awesome. Great job...they totally look like you made them from scratch! 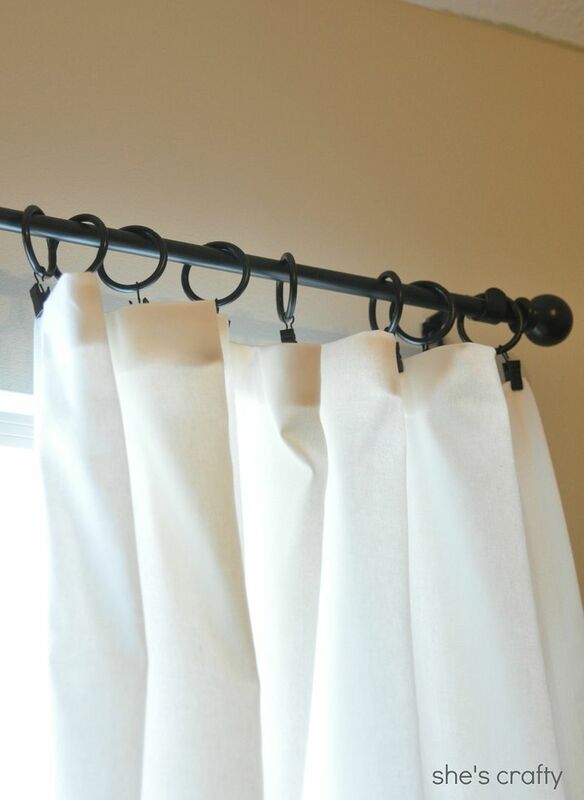 A great way to make plain curtains your own. Love the yellow. I'm your newest follower! Pretty curtains! Someone recently made some pillows for me in that same chevron fabric and I love them! This is a great idea!! I love it!! Love those!!! I need to make something similar for my son's nursery. Cute! 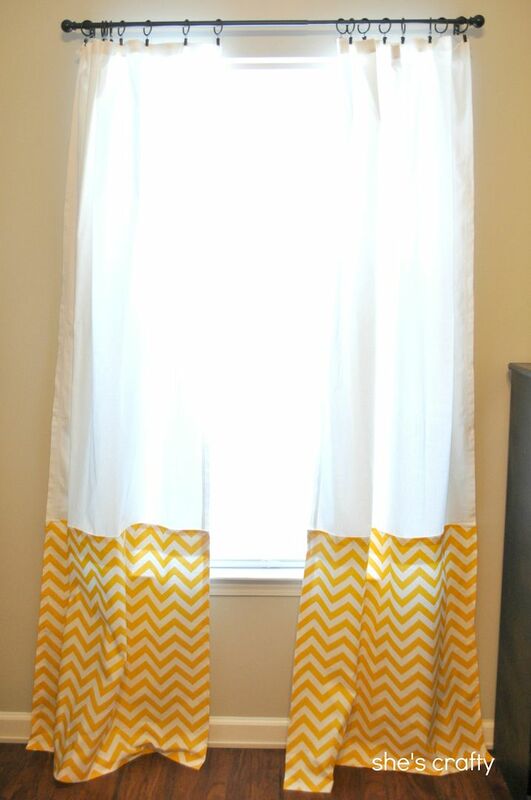 I'v ebeen thinking of what kind of curtains I want in our bedroom and wanted to go woth a chevron or quatrefoil but didn't want it to look too busy. This is perfect! Thanks for sharing. This is so cute. I would love for you to share it on my Monday linky party! Such a pretty addition to those curtains!